The unique hosted format of IT Security Leadership Exchange, conducted in an upscale resort setting like the Ponte Vedra Beach Inn & Club, provides an engaging platform for presentations and keynotes, small group and panel discussions as well as one-on-one conversations with leading vendors and peers on the latest and most relevant cyber security topics. 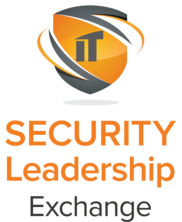 Produced by the CyberRisk Alliance in conjunction with nGage Events, IT SLE is recognized for providing an exceptional conference experience through cutting edge content sessions, peer-to-peer information sharing, and ready to implement solutions. IT SLE is ahosted summit, which means that complimentary airfare, hotel, ground transportation and registration is provided to all attendees in exchange for participation and time out office. Keynotes, Fireside Chats, Panels and General Sessions: Security Leadership Exchange keeps things simple by having only one conference track to focus on. Attendees will sit in on a variety of sessions covering the latest topics, industry news and respected insights from leading solution providers, industry experts and end user executives. Case Study Boardroom Sessions: Held in a private boardroom setting, these highly interactive sessions presented by solution providers to a select group of executives give an inside perspective on the implementation and strategy of an actual customer use case. These sessions not only provide the vendors with feedback on end user wants/needs, but also promote candid discussions for end users to gain an understanding of current solutions and valuable cross-industry perspective from their peers. Self-Scheduled 1:1 Meetings: Our 1:1 Meeting Zone allows our end user attendees, solution providers and industry experts the perfect opportunity to connect with one another for 20 minute face-to-face meetings, which makes solution research painless for our executives and makes connecting with prospective clientele cost-effective for our sponsors. Respected industry experts and analysts will also be present to help you move your strategy forward. Networking Receptions: Connections can be made at a traditional trade show, but with our unique format, lasting relationships are forged through a multitude of networking opportunities. Attendees are able to network over 2.5 days and dive more deeply into discussions that cannot be had walking a trade show floor. Regarding the number of end user attendees and solution providers, we believe that quality over quantity adds a higher value to networking in a comfortable setting that allows for deeper conversation and relationship building.